Oakland City University makes it easier than ever to earn the degree you want, no matter where you live. Our wide selection of graduate and undergraduate online degree programs not only gives you limitless career options but also allows you to reach your personal and professional goals in less time at an affordable cost. At OCU, we accept up to double the number of transfer credits accepted at other colleges and universities, as well as complete previous experience assessments, to cut your costs even further. View our comprehensive list of online degrees, and see how our convenient 5-week class rotation and the flexible online delivery can take you to the next level of your career. At the core of the OCU Foundation is a commitment to provide an unequaled education in the liberal arts and sciences. This broad educational experience prepares our students with the knowledge necessary to apply the principles learned in the classroom to the problems and issues of today. The preparation of the head without the connection to the heart leaves a person void of purpose. The University believes the spiritual formation of the individual is critical to the success of a student. Rich in the tradition of the General Baptist denomination OCU offers students, faculty, and staff the opportunity to investigate their own faith and to develop an understanding of what they truly believe and the ability to express their faith verbally. Knowledge without the ability to apply becomes little more than an academic exercise. The OCU Foundation gives students the opportunity to express their faith and academic achievements through guided responses such as international mission trips and community service. 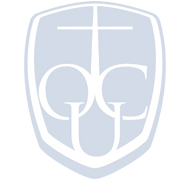 OCU offers a cost-effective Christian education. With our online programs, you save on travel expenses and can reduce the time you take off of work. Create opportunities and play an invaluable role in any organization with an online degree in Operations Management from Oakland City University. In a time when business and personal ethics are more important than ever, the faith-based instruction this program provides allows graduates to perform with unshakable morals, ensuring that the businesses benefitting from their services are operating to the highest standards. Oakland City University strives to produce the next generation of positive, driven leaders in all areas of business. The online Bachelor of Science in Business Administration allows students to pursue careers in whatever field calls them, be it banking, accounting, business management, marketing, correctional facility management, human resources, athletic administration, teaching, or consulting.